If you have a well set up website, Google AdWords can be an effective way to let potential clients know about your company and what you offer. People use Google to search for products, services or information and most results will include Google ads paid for by businesses. Of course Google ads won't work for everyone. For example, businesses offering unique products or services which people haven't heard of, or that sell something people simply don’t search for, may end up wasting money on this type of advertising. Find out if your business would profit from AdWords. Google advertising is a great marketing tool for attracting potential clients. Everyone uses Google to search! Google AdWords entices qualified leads to your website i.e. people who are interested in your products and services and ready to buy. Since you're directly advertising to your target audience, they will hopefully dial your number or make a purchase from your website. More importantly, you're able to measure your success with detailed reports on the number of clicks your ads triggered, which keywords were most popular, how many new customers you acquired and so on. You certainly can’t do this with traditional marketing on radio or TV! Unsure if Google AdWords works for your industry? Find out here. Another great option Google advertising offers is remarketing. This involves showing your ad to your target market if they’ve seen it before or visited your website but not purchased. 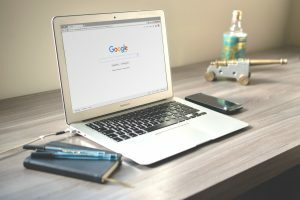 For a fixed period of time, when your audience goes on particular Google affiliated websites, your ad will show up to remind them about your business, and hopefully prompt them to click through. Display Network ads can help your business make a more lasting impression on people. You're able to use text, images or animated adverts to attract attention. Advertising on the Display Network gives you an opportunity to sell more products or services, build customer loyalty, engage with customers and increase your brand awareness. For professional advice on Google AdWords, please contact us. What's your end goal. Do you need more leads, to increase sales on your e-commerce website or do you want to push your brand message? Who is your target market and what do they search for? Which of your products or services will be most popular? Which geographic areas will you target? You'll get the most from Google advertising if your campaign is set up by a specialist who knows all the ins and outs. However, this is just the first step - it's essential your campaign continues to be managed. Ongoing monitoring allows adjustments to be made that ensure your campaign performs to its full potential. A landing page is a a dedicated place for a visitor to ‘land’ when they click on your paid Google advert. You should have a landing page for each campaign, so the content is customised to the advert and you can track its success. Include specific information that relates to the advert's call to action. For example, if it has a 'learn more' button, the page should offer further information or advice on the featured topic. You'll also need a lead generation strategy. This is an incentive to encourage the visitor to make a purchase, request a quote or leave contact details in exchange for a trial, free offer etc. A FREE GUIDE: Ace the marketing basics for your business! Our Marketing 101 Guide lets you gain insight from our many years of experience. Receive proven resources and follow our practical steps to help you achieve business success. No experience necessary.